Built by Wates Construction International, the Al Bateen project marked the second time HME had worked with ALDAR Academies, having previously worked on the Al Yasmina School in 2010, supplying the complete design and technology suite, incorporating a specialist area for learning activities relating to resistant materials, CNC, heat treatment and electronics. 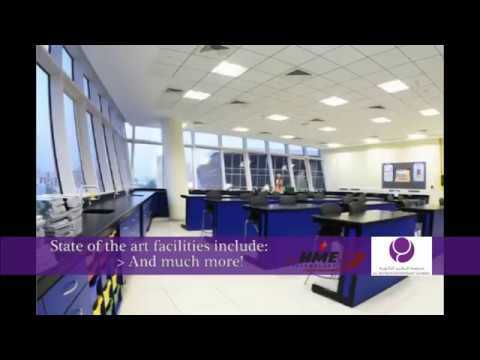 The £230,000 project at Al Bateen included the design and installation of two multi-material workshops, a multi-material prep room, graphics room, art room, design resources room and a PECT room, strongly supporting the ambition of British-style curriculum, and strengthening HME Technology’s position as an international turn key supplier and installer. Taking personal responsibility for the entire works, HME sent out a known and trusted installation team, as used back in England, in order to ensure the same high standard of end results as renowned at home. Julian Davis, managing director of HME Technology, said: “The Middle East is becoming increasingly important to our business. “Huge growth is going on there and we have been looking to be part of it for quite a while. “Our products are high quality and our design expertise in terms of tailoring them to the needs of individual projects marks us out as willing to go the extra mile for the customer. “We have a strong relationship with ALDAR Academies and hopefully that will bear further fruit." Al Bateen Secondary School was opened in September, 2011, and provides education for English-Speaking student between the ages of 11 to 18.